The Honeywell-Emett "Forget-me-not" Computer - Brochure, 1966. Image no. SIA2018-062329, Record Unit 332: National Museum of American History, Division of Physical Sciences and Mathematics, Records, 1956-1988 and undated, Smithsonian Institution Archives. In June 2017, Uta C. Merzbach, the Smithsonian's first curator of mathematical instruments, passed away in her hometown of Georgetown, Texas. From 1964 until 1988 Merzbach was Associate Curator and then Curator in the Division of Physical Sciences and Mathematics in what in now known as the National Museum of American History (NMAH). 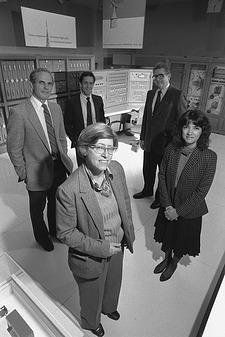 Along with her work collecting and displaying mathematical objects, Merzbach also worked extensively compiling oral histories related to the history of computing, brought about the use of computer interactives to NMAH, and contributed toward the efforts to track museum objects with computerized databases. In looking through her records here in the Archives, I came across two things that stood out. 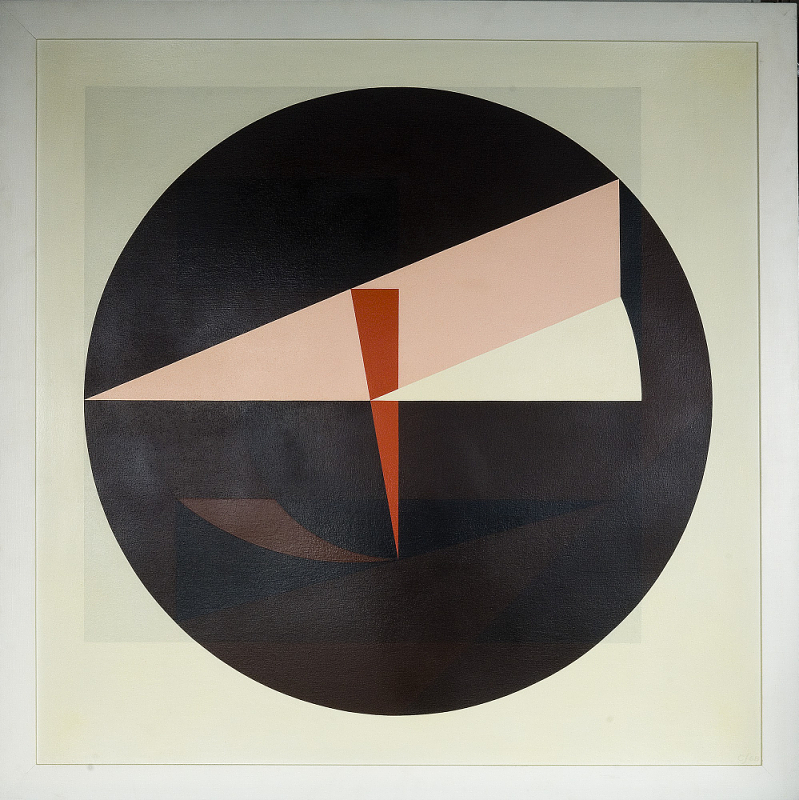 The first was Merzbach's work on the exhibition, Theorems in Color, which featured paintings by Crockett Johnson (more widely know for Harold and the Purple Crayon and the Barnaby comic strip), based on mathematical theorems. In the exhibition were thirty-two paintings that were selected from over 100 paintings Johnson completed between 1965 and 1975 (eighty paintings were donated to the museum by his widow, the poet Ruth Krauss). One group of paintings were based on "well-known mathematical constructions such as Euclid's proof of the Pythagorean theorem and artist Albrecht Durer's accurate demonstrations of perspective." 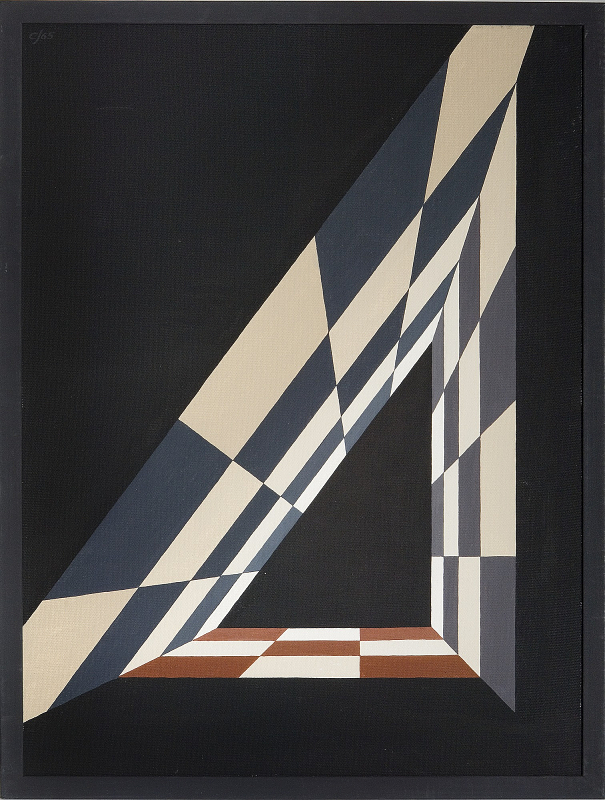 Another group of paintings were entirely of Johnson's own mathematical constructions. 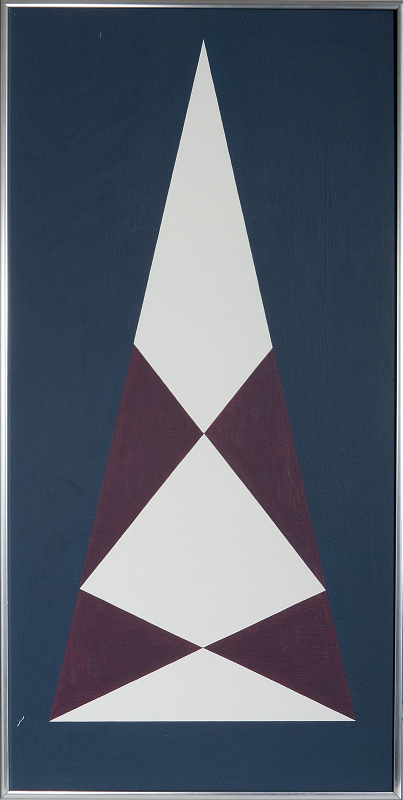 Upon the surface the paintings may have represented abstract art to the viewer, but to Johnson they represented a connection between abstract modern art and the "language of geometry." 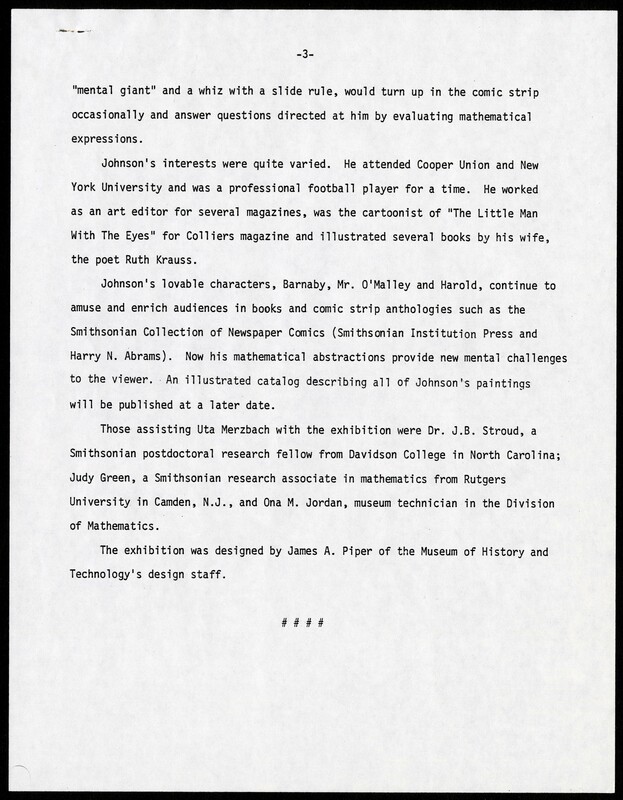 Press release for the exhibition, "Theorems of Color," which was held at the National Museum of History and Technology (now the National Museum of American History) from June 20 to September 12, 1980. Image no. SIA2018-062324, Accession 17-068: National Museum of History and Technology, Section of Mathematics, Research Records, 1968-1974, 1980, Smithsonian Institution Archives. 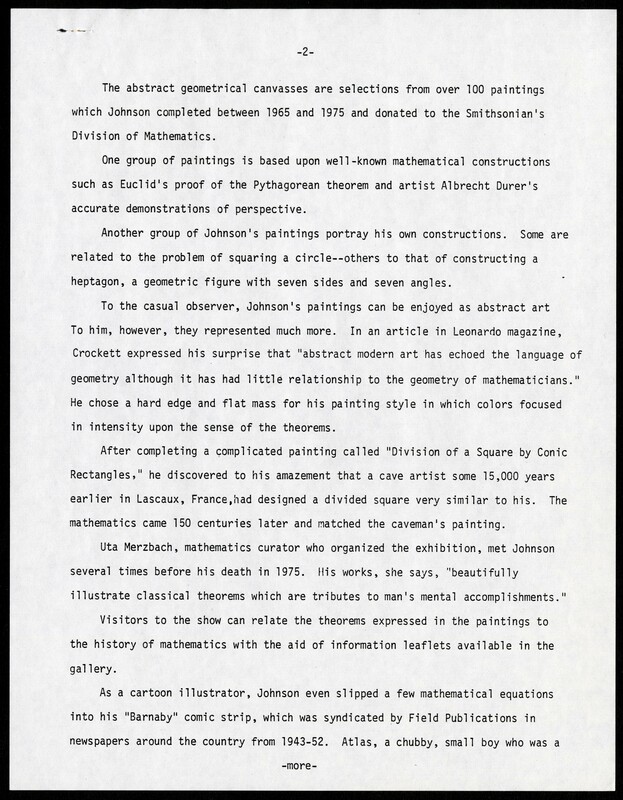 Press release for the exhibition, "Theorems of Color," which was held at the National Museum of History and Technology (now the National Museum of American History) from June 20 to September 12, 1980. Image no. 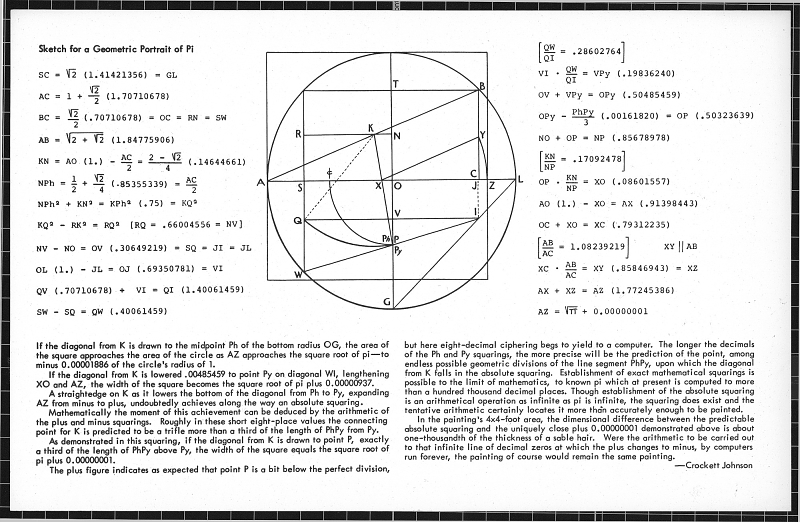 SIA2018-062325, Accession 17-068: National Museum of History and Technology, Section of Mathematics, Research Records, 1968-1974, 1980, Smithsonian Institution Archives. 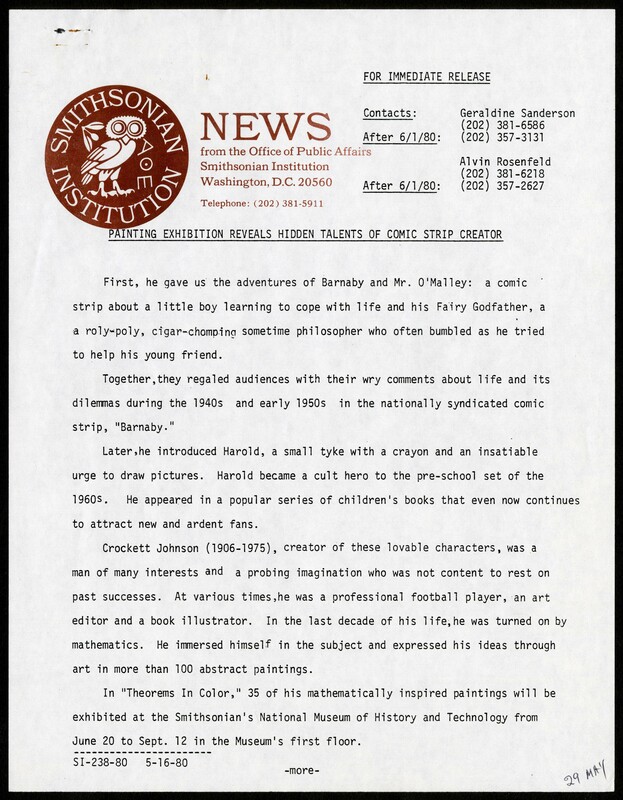 Press release for the exhibition, "Theorems of Color," which was held at the National Museum of History and Technology (now the National Museum of American History) from June 20 to September 12, 1980. Image no. 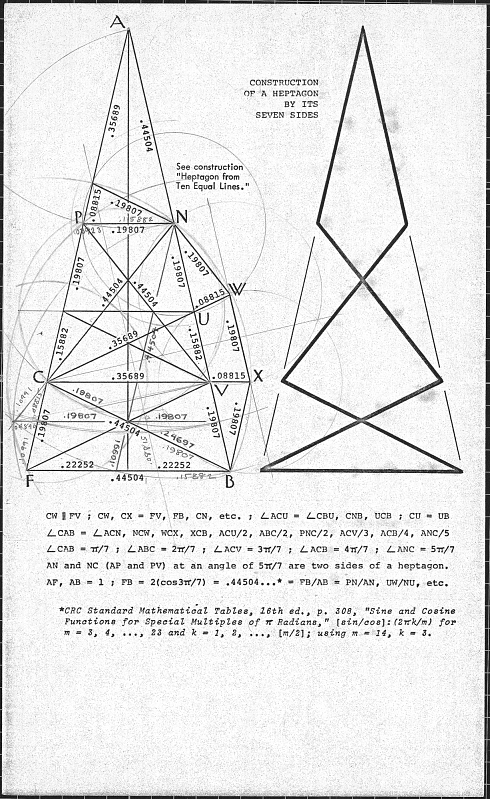 SIA2018-062326, Accession 17-068: National Museum of History and Technology, Section of Mathematics, Research Records, 1968-1974, 1980, Smithsonian Institution Archives. The Honeywell-Emett "Forget-me-not" Computer - Brochure, 1966. Image no. SIA2018-062327, Record Unit 332: National Museum of American History, Division of Physical Sciences and Mathematics, Records, 1956-1988 and undated, Smithsonian Institution Archives. 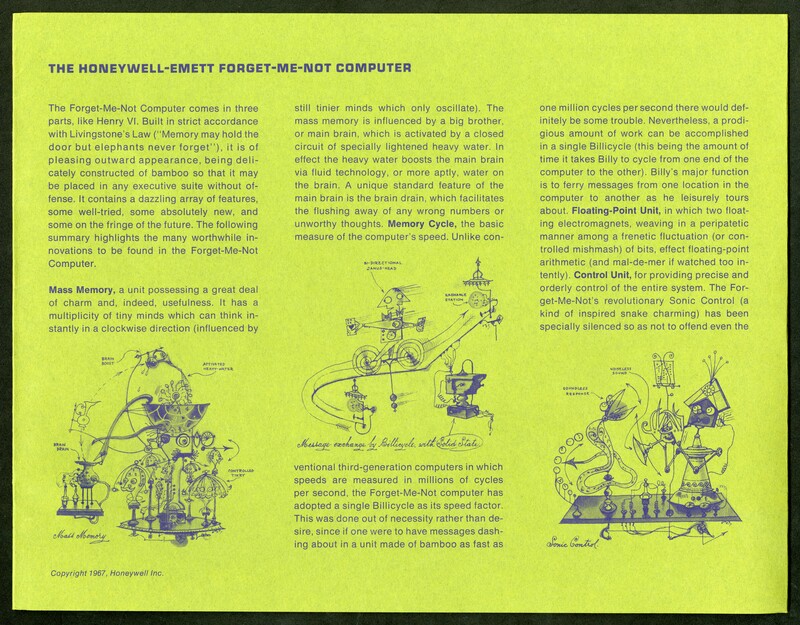 The Honeywell-Emett "Forget-me-not" Computer - Brochure, 1966. Image no. SIA2018-062328, Record Unit 332: National Museum of American History, Division of Physical Sciences and Mathematics, Records, 1956-1988 and undated, Smithsonian Institution Archives. The Honeywell-Emett "Forget-me-not" Computer - Brochure, 1966. Image no. SIA2018-062330, Record Unit 332: National Museum of American History, Division of Physical Sciences and Mathematics, Records, 1956-1988 and undated, Smithsonian Institution Archives. 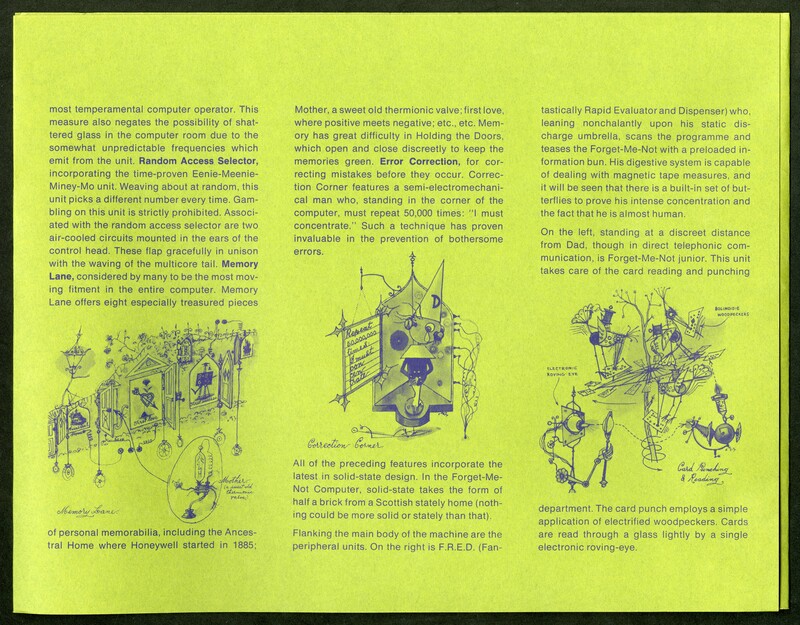 The Honeywell-Emett "Forget-me-not" Computer - Brochure, 1966. Image no. SIA2018-062331, Record Unit 332: National Museum of American History, Division of Physical Sciences and Mathematics, Records, 1956-1988 and undated, Smithsonian Institution Archives. 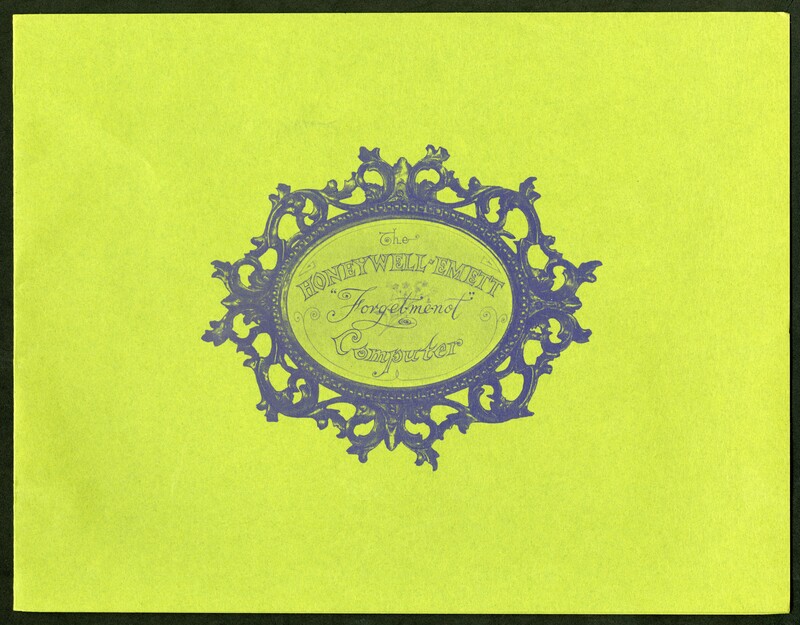 The next item that caught my attention was a brochure for "The Honeywell-Emett 'Forget-me-not' Computer." 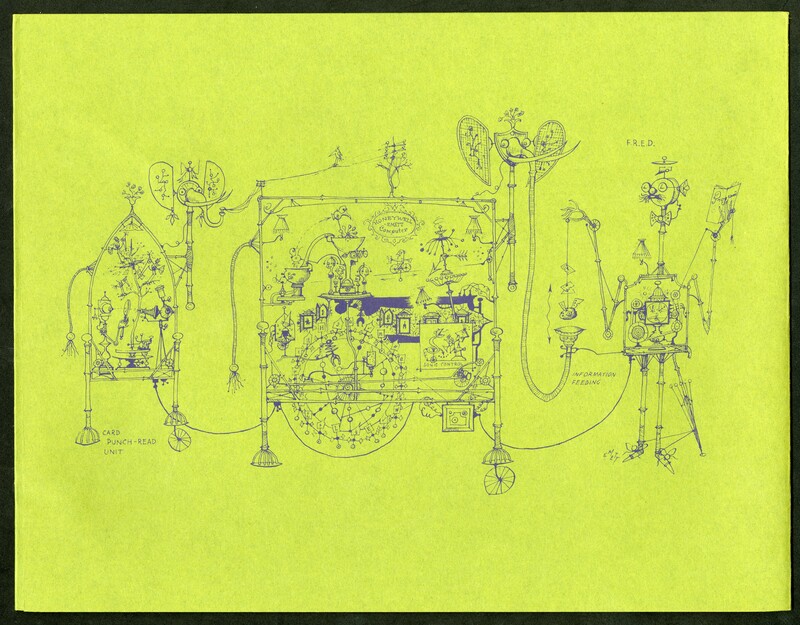 The computer, commissioned by Honeywell, was a mechanical creation by Rowland Emett, an English cartoonist. Merzbach coordinated with the Honeywell Corporation to have the computer displayed at the museum on its tour around the country. The computer was on view from August 28 to September 5, 1967. While it served as a caricature of both computers and people, it also provided vehicle for the Honeywell Corporation to promote their products. In the Johnson exhibition and in the "Forget-me-not" Computer, I found a side of mathematics and the history of technology that is entertaining and engaging. 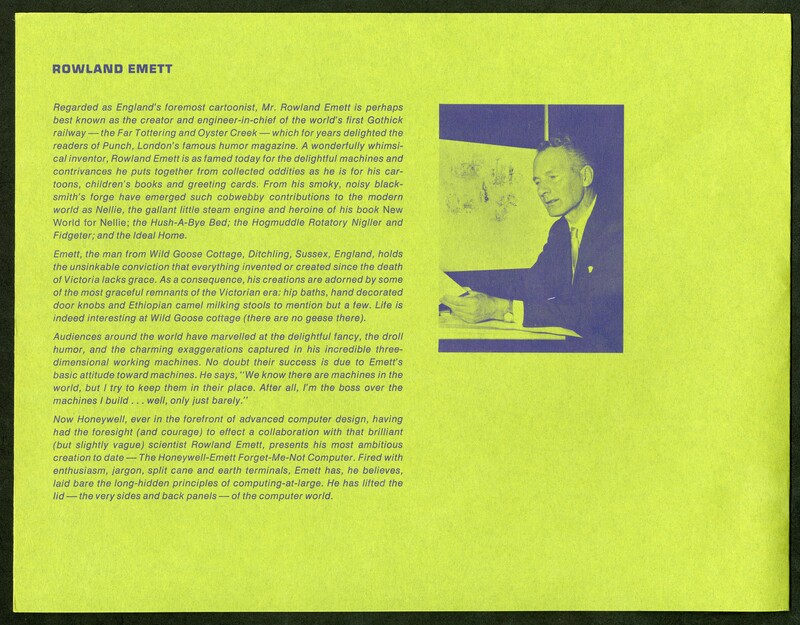 It is these qualities of the fields, along with others, that Merzbach sought to share with the Smithsonian's visitors. Her passion for the field of mathematics and computing strongly came across as I was going through her materials in the Archives and the NMAH is greatly benefited from her curatorial eye for collecting and for her keen knowledge of her fields.